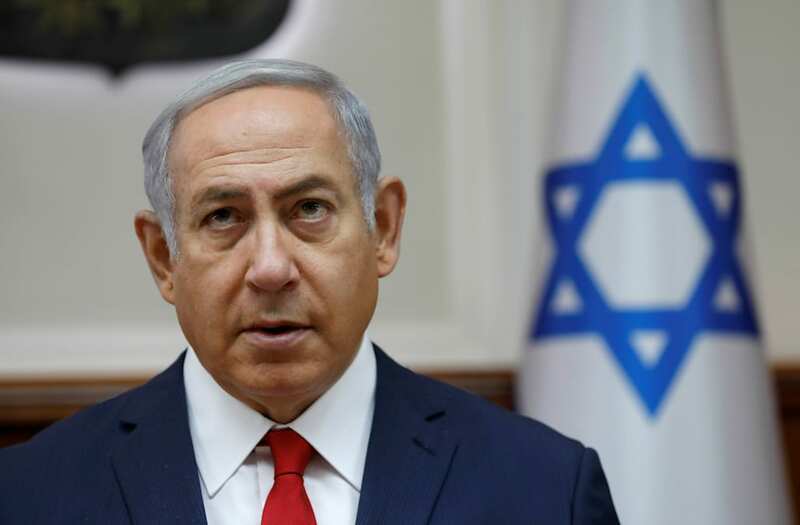 Israel's Prime Minister Benjamin Netanyahu, who faces three investigations over alleged corruption, was questioned again by police over a case involving Israel's largest telecoms firm on Tuesday, Army Radio said. The authorities allege Netanyahu awarded regulatory favors to Bezeq Telecom Israel in return for favorable coverage of him and his wife on a news site owned by the company. Netanyahu, Bezeq and its owner have all denied wrongdoing. 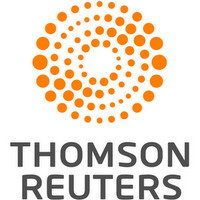 A Reuters cameraman saw a police car pulling into the driveway of the prime minister's official residence in Jerusalem. Netanyahu has been questioned over the case before and police have yet to make a recommendation about charges. U.S. President Donald Trump, right, speaks while Benjamin Netanyahu, Israeli's prime minister, smiles during a news conference in the East Room of the White House in Washington, D.C., U.S., on Wednesday, Feb. 15, 2017. Netanyahu is trying to recalibrate ties with Israel's top ally after eight years of high-profile clashes with former President Barack Obama, in part over Israel's policies toward the Palestinians. Israeli Prime Minister Benjamin Netanyahu leaves the White House after a meeting with President Donald Trump in Washington, U.S., February 15, 2017. U.S. President Donald Trump, speaks during a news conference with Benjamin Netanyahu, Israeli's prime minister, not pictured, in the East Room of the White House in Washington, D.C., U.S., on Wednesday, Feb. 15, 2017. Netanyahu is trying to recalibrate ties with Israel's top ally after eight years of high-profile clashes with former President Barack Obama, in part over Israel's policies toward the Palestinians. U.S. President Donald Trump (2ndR) and first lady Melania Trump meet Israeli Prime Minister Benjamin Netanyahu and his wife Sara (L) in the Oval Office of White House in Washington, U.S., February 15, 2017. Chief strategist to US President Donald Trump arrives for a joint press conference by Trump and Israel's Prime Minister Benjamin Netanyahu in the East Room of the White House on February 15, 2017 in Washington, DC. White House Senior Advisor Jared Kushner (L) and his wife Ivanka Trump talk with Sara Netanyahu (front L) as she arrives for a joint press conference between U.S. President Donald Trump and Israeli Prime Minister Benjamin Netanyahu, at the White House in Washington, U.S., February 15, 2017. Benjamin Netanyahu, Israeli's prime minister, speaks during a news conference with U.S. President Donald Trump, not pictured, in the East Room of the White House in Washington, D.C., U.S., on Wednesday, Feb. 15, 2017. Netanyahu is trying to recalibrate ties with Israel's top ally after eight years of high-profile clashes with former President Barack Obama, in part over Israel's policies toward the Palestinians. Israeli Prime Minister Benjamin Netanyahu leaves following meetings with US President Donald Trump at the White House in Washington, DC, February 15, 2017. U.S. President Donald Trump smiles outside the West Wing of the White House as Benjamin Netanyahu, Israel's prime minister, not pictured, departs in Washington, D.C., U.S., on Wednesday, Feb. 15, 2017. Netanyahu is trying to recalibrate ties with Israel's top ally after eight years of high-profile clashes with former President Barack Obama, in part over Israel's policies toward the Palestinians. White House Counselor Kellyanne Conway (2nd L) listens during a joint news conference with U.S. President Donald Trump and Israel Prime Minister Benjamin Netanyahu at the East Room of the White House February 15, 2017 in Washington, DC. President Trump hosted Prime Minister Netanyahu for talks for the first time since Trump took office on January 20. White House Press Secretary Sean Spicer waits for the beginning of a joint news conference with U.S. President Donald Trump and Israel Prime Minister Benjamin Netanyahu at the East Room of the White House February 15, 2017 in Washington, DC. President Trump hosted Prime Minister Netanyahu for talks for the first time since Trump took office on January 20. U.S. President Donald Trump, right, speaks with Benjamin Netanyahu, Israel's prime minister, outside the West Wing of the White House in Washington, D.C., U.S., on Wednesday, Feb. 15, 2017. Netanyahu is trying to recalibrate ties with Israel's top ally after eight years of high-profile clashes with former President Barack Obama, in part over Israel's policies toward the Palestinians. Benjamin Netanyahu, Israel's prime minister, waves while leaving the West Wing of the White House after meeting with U.S. President Donald Trump, not pictured, in Washington, D.C., U.S., on Wednesday, Feb. 15, 2017. Netanyahu is trying to recalibrate ties with Israel's top ally after eight years of high-profile clashes with former President Barack Obama, in part over Israel's policies toward the Palestinians. Smithsonian's National Museum of African American History and Culture Directort Lonnie Bunch(2ndR), talks with first Lady Melania Trump and Sara Netanyahu, wife of Israeli Prime Minister Benjamin Netanyahu, as they tour the Museum along with Smithsonian Secretary David Skorton, left, on February 15, 2017, in Washington, DC. U.S. first lady Melania Trump and Sara Netanyahu stand together during a visit to the African American Museum of History and Culture in Washington, U.S., February 15, 2017. President Donald Trump addresses a joint news conference with Israeli Prime Minister Benjamin Netanyahu (R) at the White House in Washington, U.S., February 15, 2017. A police spokesman declined comment, and a spokesman for Netanyahu had no immediate comment. In the two other cases in which police have already recommended that Netanyahu be charged with bribery, the final decision about whether to prosecute rests with the Israeli attorney general -- that could be months away. So far, partners in Netanyahu’s governing coalition have stood by him, saying they are awaiting the attorney general’s next moves. However, political pressure could mount on Netanyahu to step down if he is charged. Netanyahu could also call a snap election to try to stall legal proceedings during the campaign and rally his right-wing power base behind him. Polls show Netanyahu’s Likud party gaining seats and positioned far ahead of all other factions.